The 7th takes you back over the KIllie Gorge. The photo shows the view from the 7th yellow tee. Plenty of room on the left but take care to avoid the gorse plantation. The 16th yellow and the whites are much different requiring a good drive with a carry of approaching 175 yards over bracken and gorse. A second to a green that slopes slightly left to right with pot bunkers guarding both sides. 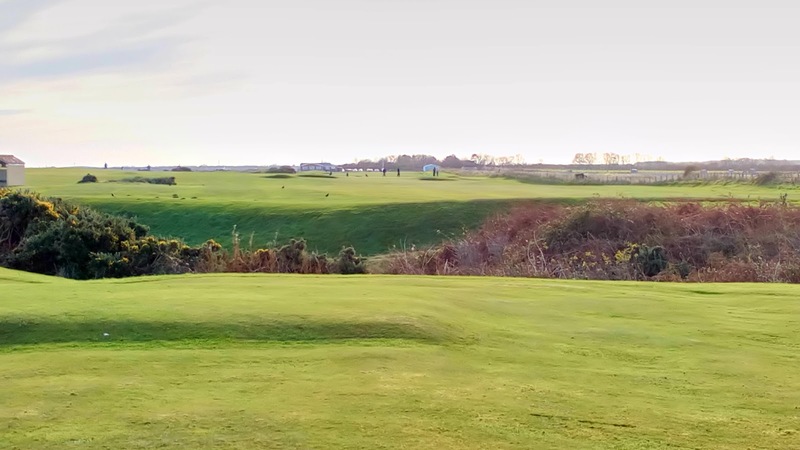 Northumberland's hidden gem of a golf course.